I have many cookbooks, right. And one of the newer books is "Bouchon Bakery". The recipe for blueberry muffins looked very interesting since it required resting the dough overnight. I've never done that with muffin batter before, only with yeast dough or madeleine batter. Naturally I had to try it out. I did leave out a couple of things like molasses and honey. The thing was already sweet enough, besides I'm not a fan of molasses. I did use however those large and fleshy foreign blueberries from the store, as that's what are commonly used in the States. But next time I would stick to the smaller European wild berries because I thought there wasn't enough blueberry flavour. The overall result was satisfying, nice crumb, pretty domes, the mouthfeel was more cakey than crumbly. I'm adding this to my list of "keepers". Cream butter with sugar. Add the egg and mix well. Now add half of the flour mixture, combine, add the buttermilk and the rest of the flour. Mix well. Cover and let sit in the refrigerator overnight. 20g flour, 20g ground almonds, 20g butter, 20g sugar and a pinch of salt. Rub everything together to a grainy/sandy consistency. About an hour before baking take the batter out of the fridge. Turn your oven onto 220C. 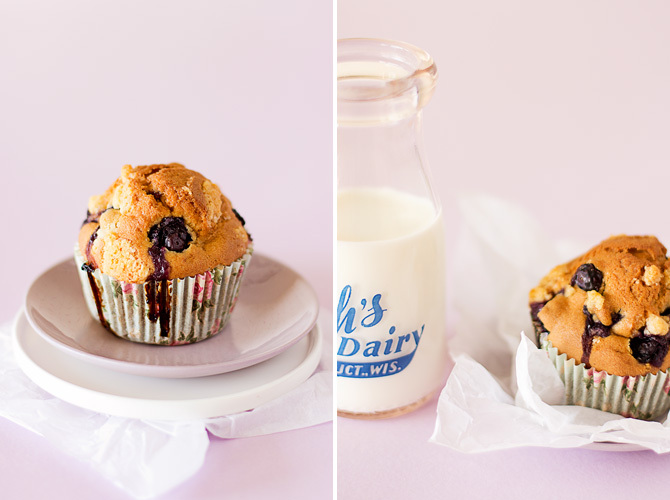 Mix berries into the batter and divide it between six regular size muffin cups. Sprinkle the crumbs on top and slip into the oven. Lower the temperature to 165C. 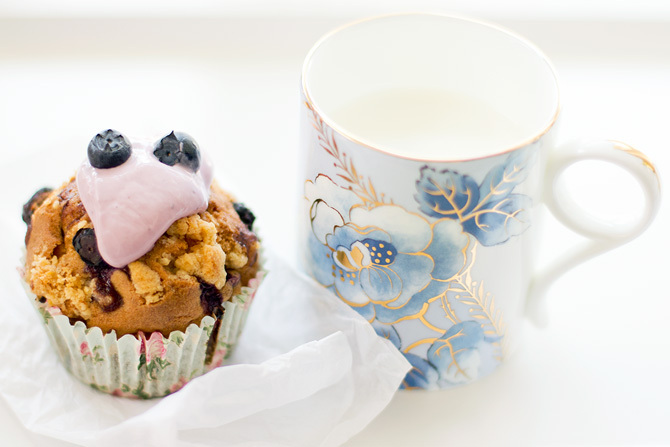 Aw, you got really pretty muffins :-) I bet they were delicious as well! I have made them twice and will make again after the bilberry season starts. i wann try your method! 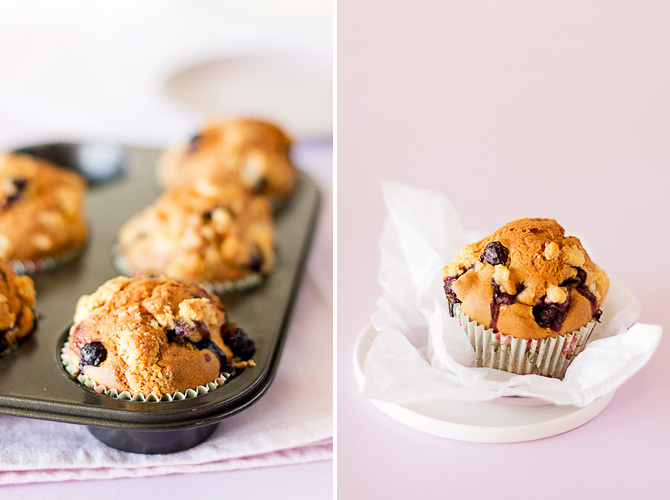 This method sure seems to result in pretty muffins. But if your oven is uneven then you still need to rotate the muffin tin during baking or the muffins will come out slanted. Old ovens tend to be more uneven.